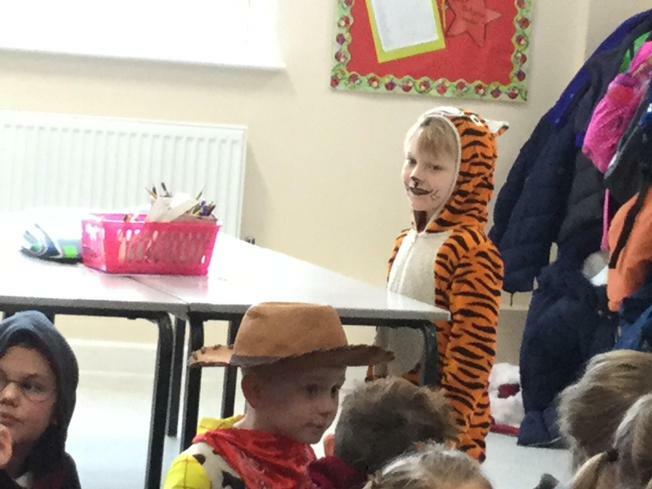 We had a super day celebrating world book day! 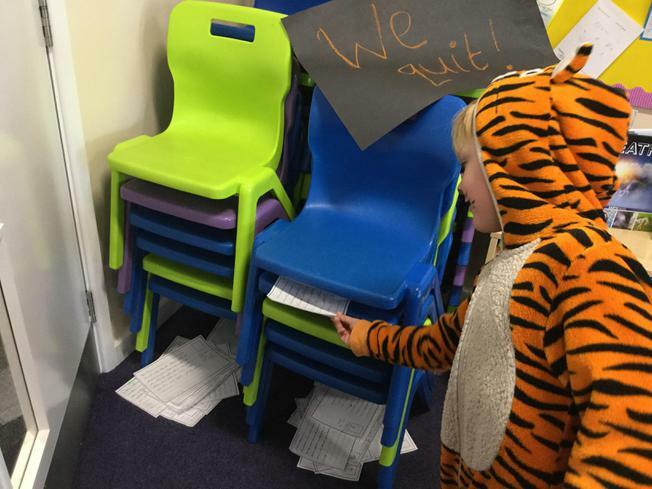 But the day started off with a rather strange event..... all the chairs decided to quit! 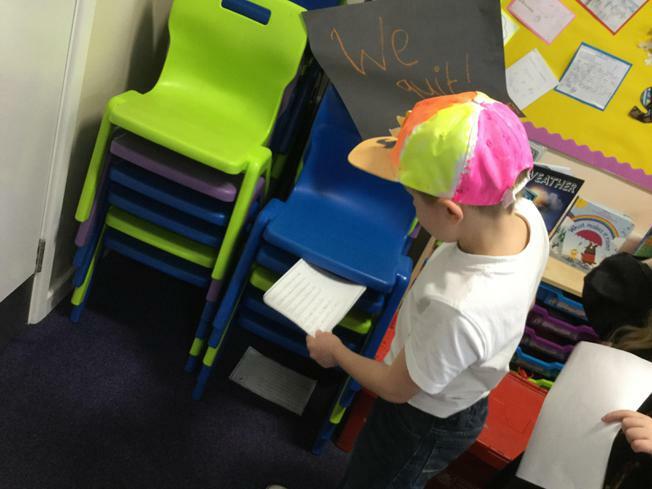 They refused to come back to the classroom so we had to write a letter to the chairs to persuade them to come back! 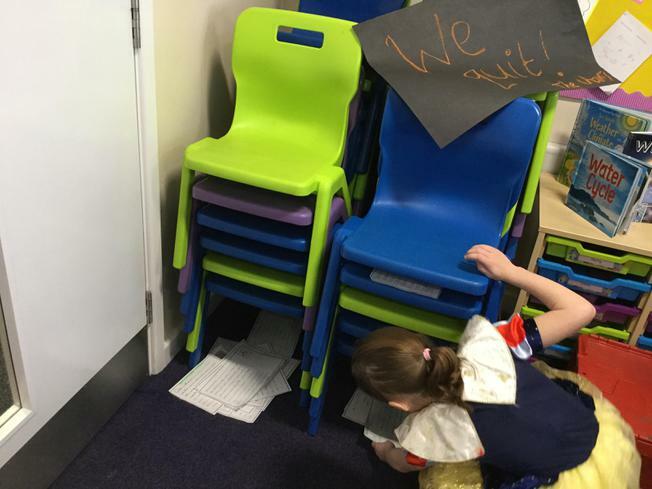 Luckily for us, and our legs, the chairs replied back to our letters and decided to join Oak Class again! Phew! 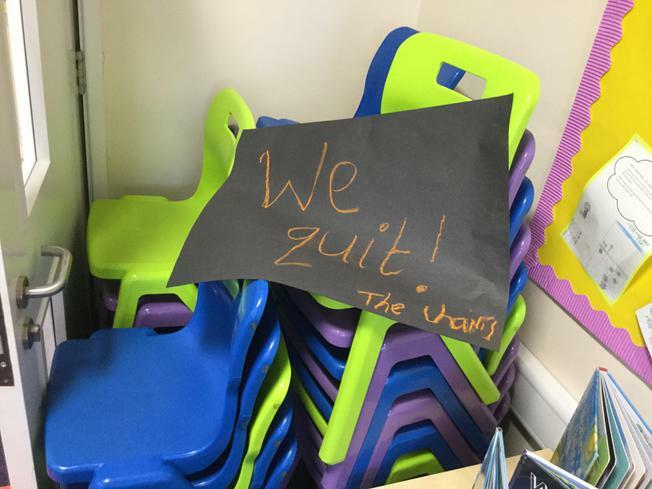 We read a great story called 'The Day the Crayons Quit!' and working in small groups made a presentation about a certain colour crayon. 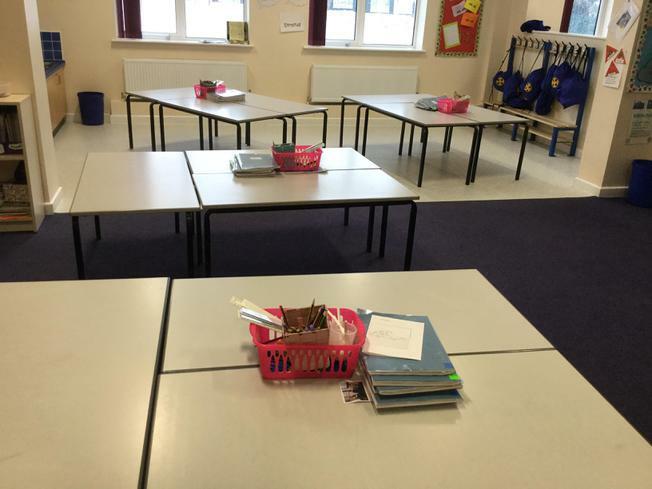 We had to say why that colour was the best! We ended the day with a fashion show to show off our wonderful costumes! What a busy but exciting day we had! 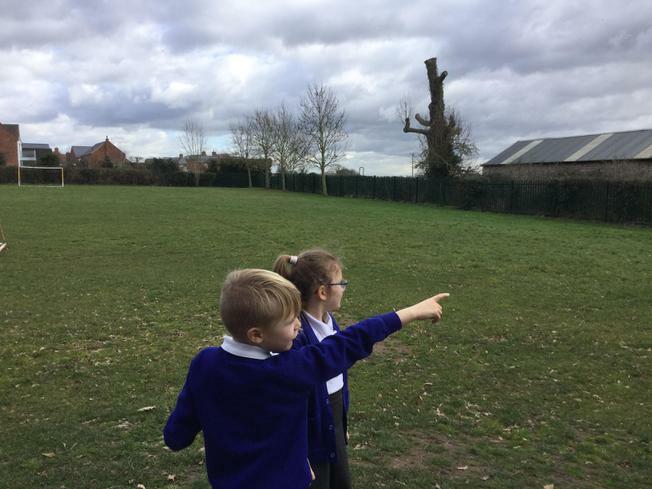 We have been working hard on our topic called 'Splendid Skies!' 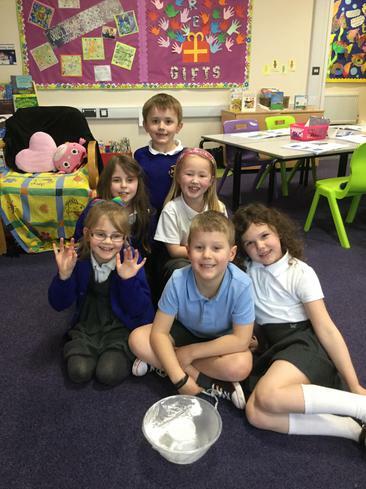 We have been learning all about the water cycle! 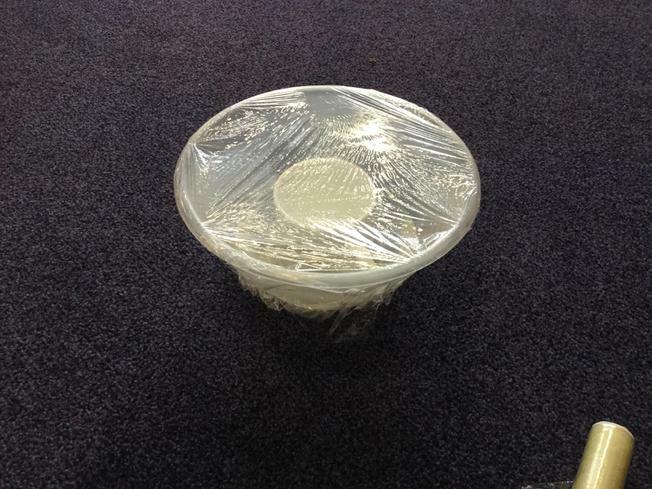 We carried out two different experiments to help us to understand evaporation and condensation! 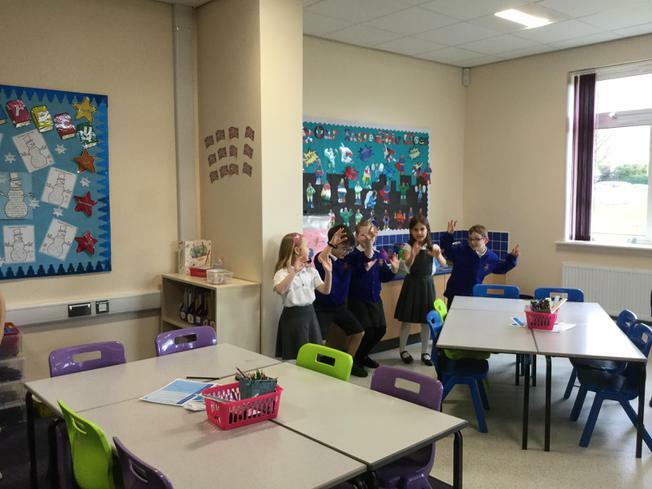 To help us to understand the water cycle we acted it out! 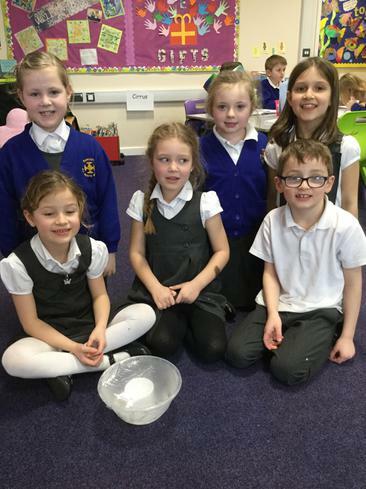 We have also been learning about the different types of clouds. 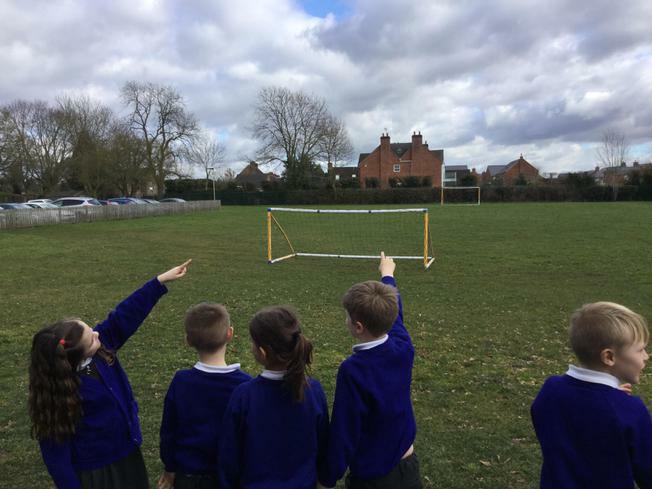 We went outside and looked at the clouds in the sky! 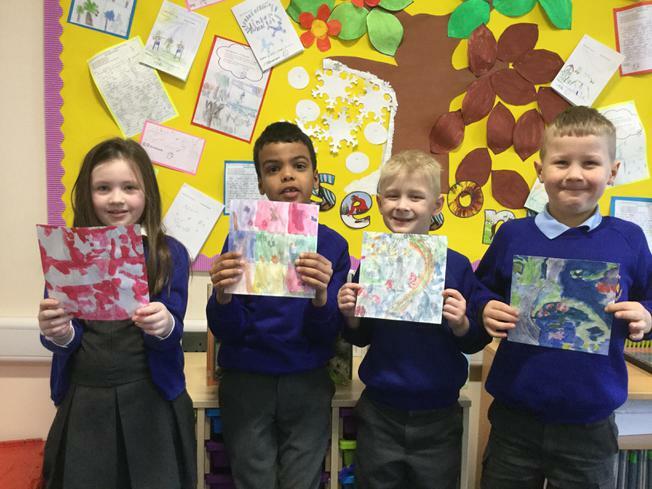 We have enjoyed learning about William Morris. 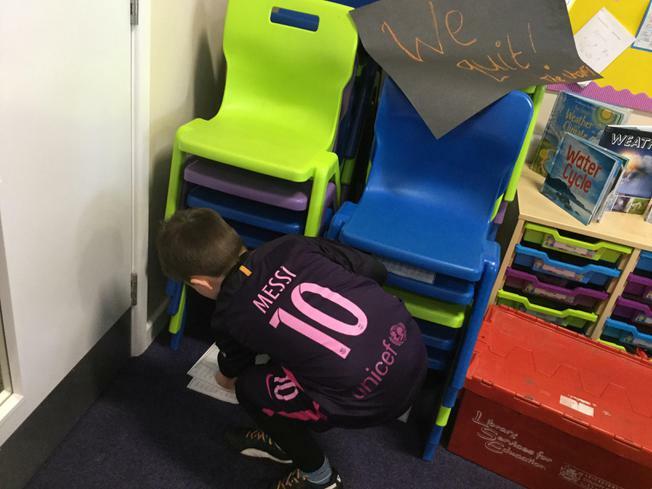 We recreated one of his famous designs using our pencils to sketch. We then we added water based colours to our final designs. Don’t they look fantastic! This half term we have started our brand new topic called ‘Four Season.’ We are learning all about Autumn, Winter, Spring and Summer! We began by listening to a very famous piece of music called ‘The Four Seasons’ by Vivaldi. 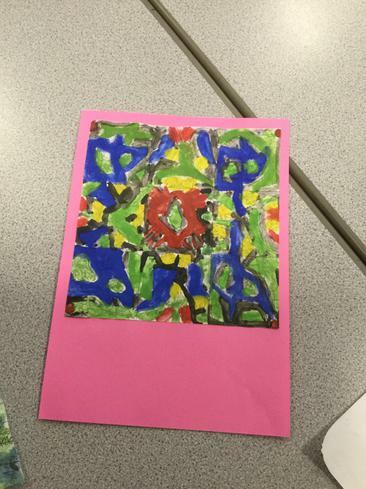 We thought about how the music made us feel and used this to inspire some beautiful art work! 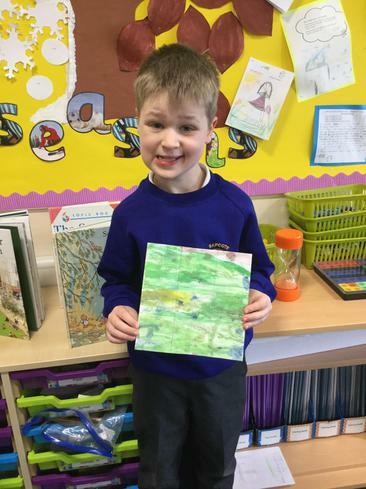 We have also created a fact file based on one of the four seasons. 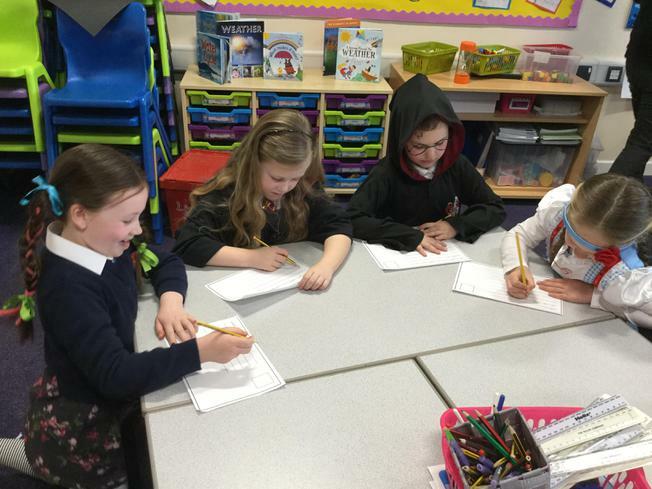 We researched our chosen season and found out all about the weather, animals and activities! 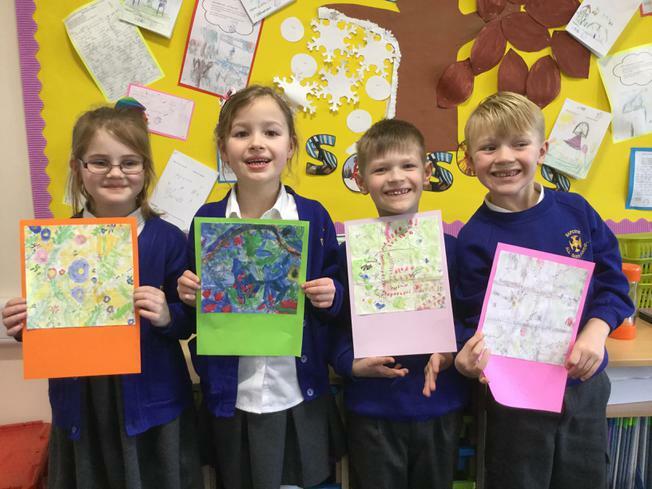 We are looking forward to learning about a famous artist called William Morris! 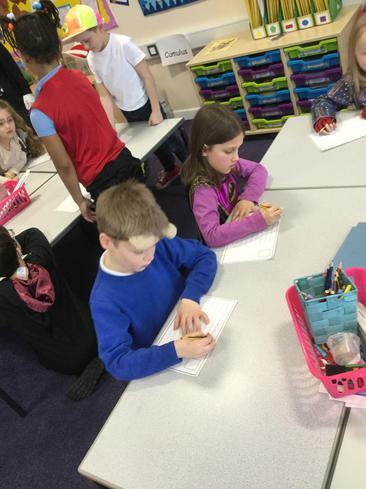 Last week we had a British Values day. 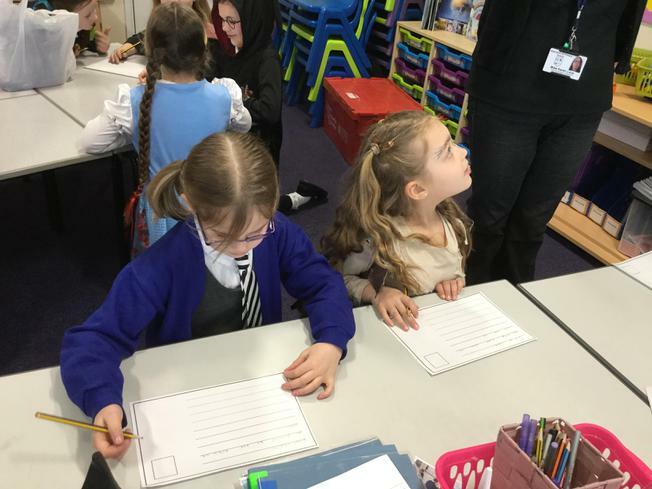 The whole school spent time learning about the British values. 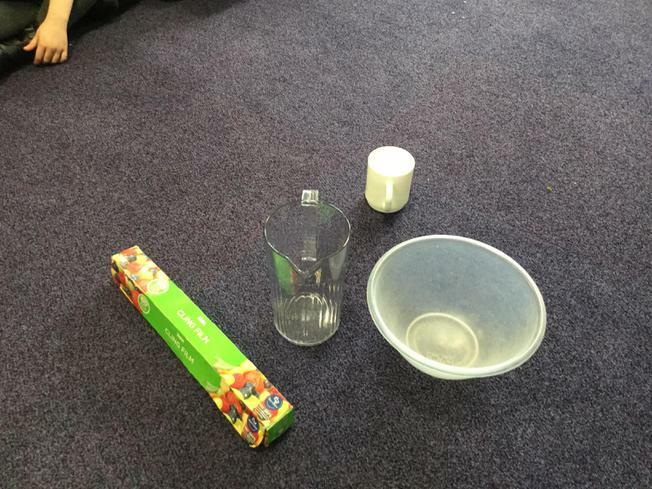 Our class was given ‘the rule of law.’ We had lots of fun thinking about what that meant and why rules help us. We made new playtime rules to help younger children have a good time during playtime! After that we played a game in the hall that had rules. This was very fun! Then we tried to play a new game, this time without rules! We found this very tricky because everyone fell out! We agreed that rules made activities and games fun! We then made up a new game with our friends and created a poster displaying the rules of the game.